WrestleMania fans will rejoice in their dream vacation to WrestleMania 2019 while having a superior stay at Red Roof PLUS+ Secaucus – Meadowlands – NYC. WrestleMania 35 has strong potential to be bigger than ever, with ticket and special Travel Packages becoming available later this year. Prepare yourself as “The Grandest Stage of Them All” returns to New York-New Jersey on April 2019. 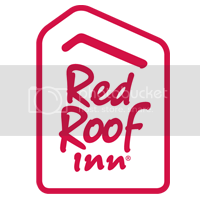 Red Roof PLUS+ Secaucus – Meadowlands – NYC is an excellent option for all WrestleMania travelers. The completely renovated, 100% smoke-free hotel offers high definition flat screen TVs in all rooms. Located within minutes of the excitement of Broadway with easy access to the Lincoln Tunnel and the Meadowlands Sports Complex, WrestleMania fans can stay close to all the events! Overlooking the scenic Hackensack River, guests can have a riverside picnic area complete with a shelter and barbecue grills! Or, for the guest seeking the bustling life of New York City, the bright lights of Times Square are just a short drive away! Then, when you’re finished experiencing all New York has to offer, you can relax in your fully renovated room. Enjoy all new furniture, spa-inspired bathrooms with modern vessel sinks, new comfy Rest Suite beds by Serta, plush high-end bedding, modern design flooring, and comfortable new seating. Ask about our PREMIUM rooms with breakfast and a snack in-room! While you’re preparing for all the action, don’t forget to book your stay in advance. Rooms fill up quickly and no one wants have their dream ticket without lodging!